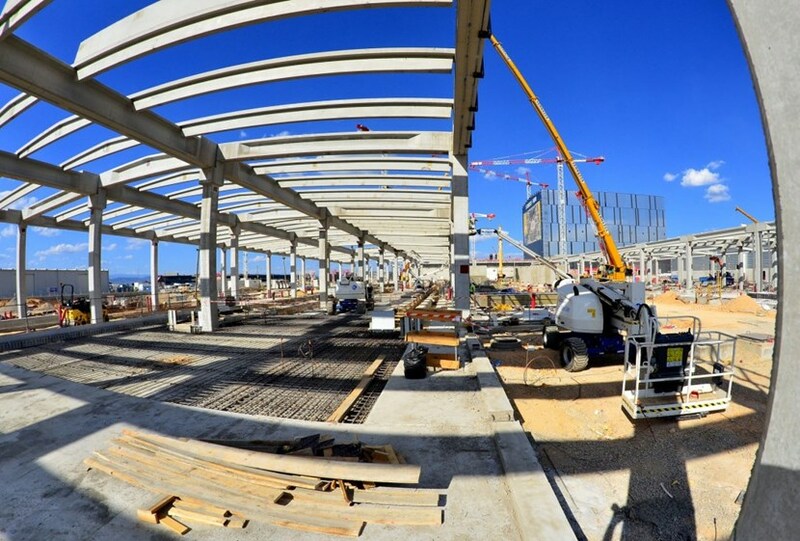 They are the most recent additions to the ITER construction landscape. Long and low, the twin Magnet Power Conversion buildings are going up parallel to the ITER cryoplant. According to the ITER schedule, they will be ready for equipment before the end of the year. 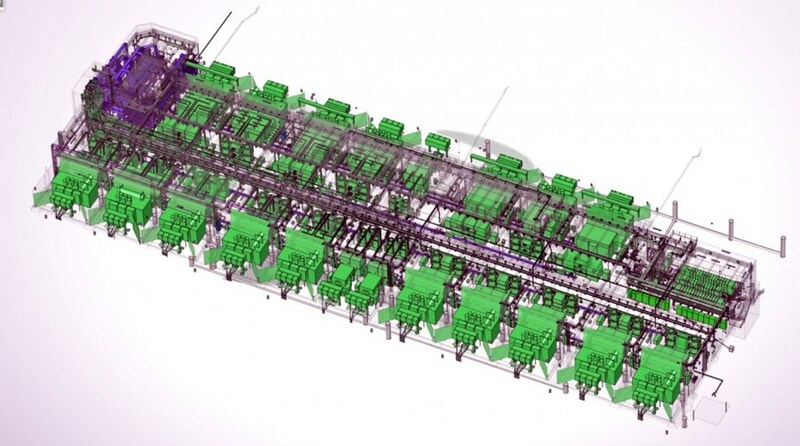 Located between the 400 kV electrical switchyard and the Tokamak Complex, the Magnet Power Conversion buildings will furnish DC current to 10,000 tonnes of superconducting magnets. The relatively straightforward structures—each 150 metres in length—are going up rapidly on the ITER site. At the same time, contractors are finalizing buried technical galleries between the buildings. By the end of the year, contractors will begin installing the equipment. 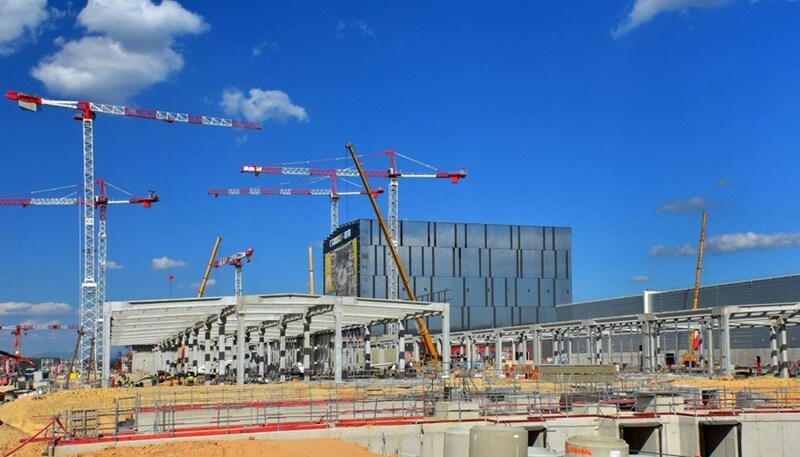 Densely packed with electrical converters, switches and fast discharge units, the twin Magnet Power Conversion buildings act as an AC/DC converter for the ITER magnetic system. The procurement responsibility for the electrical equipment in the buildings is shared by Korea (18 converter units and one master control system), China (14 converter units), and Russia (fast discharge units and some 2.5 kilometres of busbars).